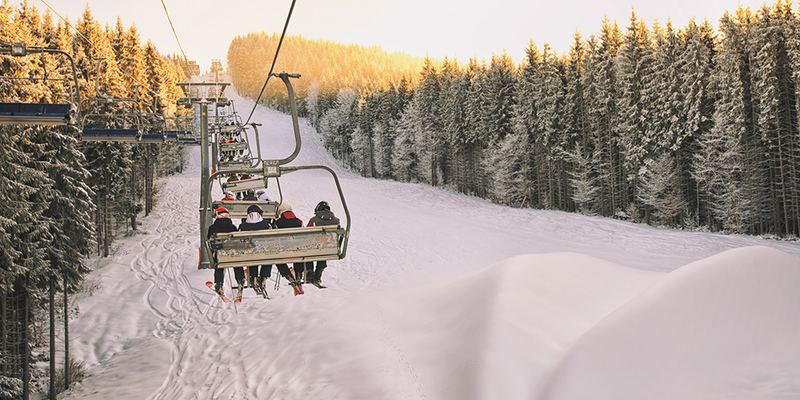 There’s no better time than now to enjoy the fresh powder and Best Western Hotels & Resorts has locations around the world to keep you close to the action with all your favorite amenities. But after the bindings are unclipped and the ski lifts stop turning, these towns keep you entertained, fed and thoroughly charmed. Even if you plan on staying inside, there’s still time left to celebrate the season this winter. The motto here is “open spaces and familiar faces,” and once you’ve arrived, you’ll never want to leave the charm of Durango, Colorado! 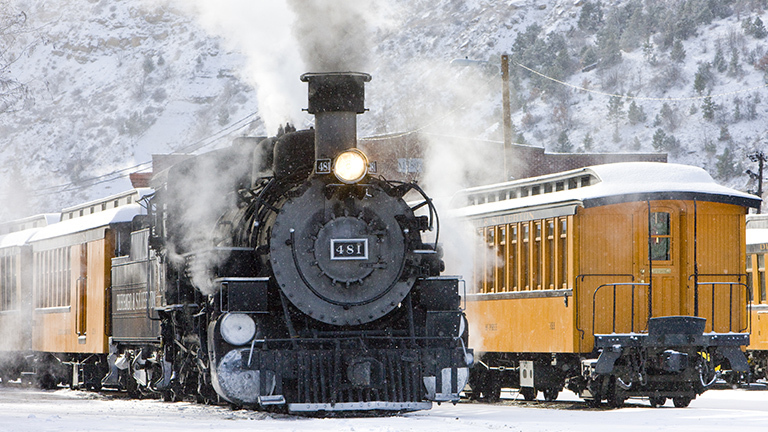 Start your trip by taking a scenic train ride through southwestern Colorado to see the snowcapped San Juan National Forest. This bustling town in Colorado also offers snowmobiling, snowshoeing, snow tubing and much more – that is, if you’re up for the adventure! 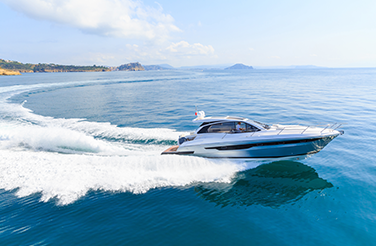 Looking to escape the cold? 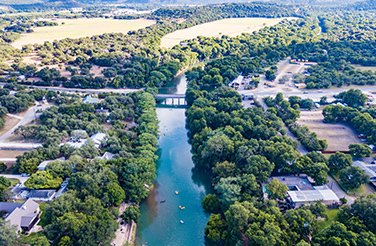 Head to the town’s very own hot springs, or discover historic downtown Durango’s world-renowned galleries, eclectic shops and restaurants. 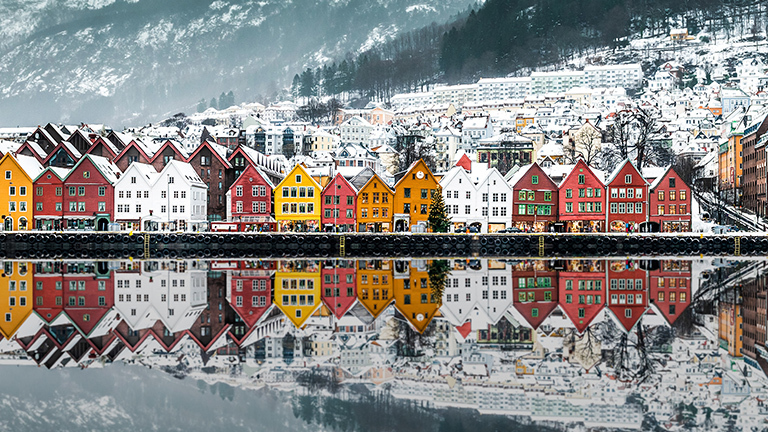 Bergen is a quaint coastal city in southwestern Norway, surrounded by fjords and mountains. There is so much to do in Bergen! Begin your day at a local coffee shop in the city’s picturesque Bryggen neighborhood to see the famous, quintessential wooden houses that line Bergen’s cloudy harbor. Visit Pepperkakebyen to see the charm of the world’s largest gingerbread town. Take a boat ride around the fjords, waterfalls and mountains that tell the centuries-old story of how the ice age shaped Norway. This town in Slovenia is worthy of a fairytale. Bled sits at the base of the Julian Alps, a mountain range that stretches from northeastern Italy to Slovenia, and offers wine tastings, the Vintgar Gorge and Triglav National Park. 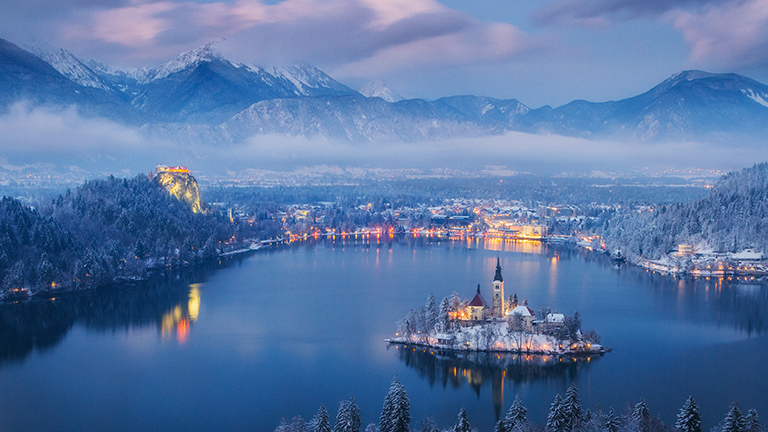 Be sure not to miss a visit Lake Bled! This lake was carved by the Bohinj glacier and in the middle of the lake lies the islet of Bled Island – home to the Church of the Mother of God. Legend has it that this church stands on the same grounds as the ancient Slavic goddess of love’s (Živa’s) temple. Overlooking the lake is the romantic, cliffside “Bled Castle” that was conferred by German King Henry II on April 10, 1004 – more than 1,000 years ago! Tour this medieval castle and museum to discover the legends within its halls. 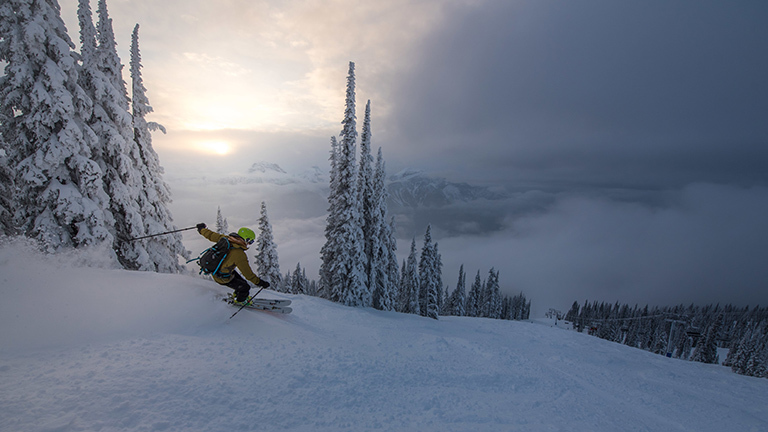 Right between Vancouver and Calgary lies Revelstoke, Canada – home to Selkirk Mountains and Glacier National Park. With 80 feet of snow falling on Mt. Copeland, this town holds the record for the snowiest single winter in Canadian history. Visit the Revelstoke Railway Museum to learn the important impact locomotives made on the area, take a snow-packed hike to Begbie Falls or enjoy the beauty of the icy Miller Lake. You won’t want to miss this Canadian town. Take a dip back in history in the Austrian Alps. 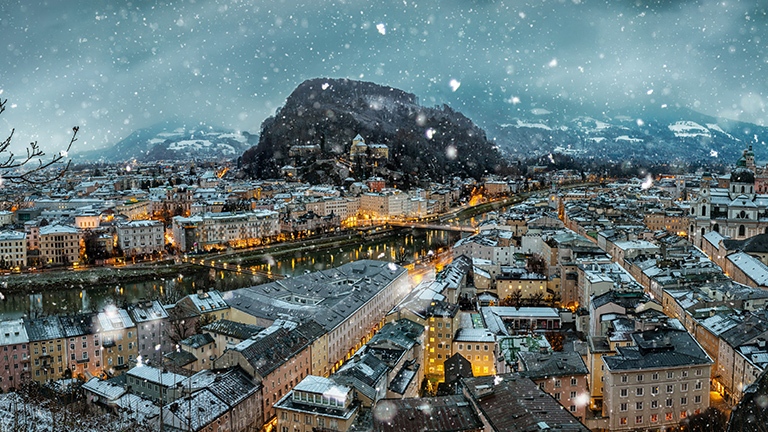 Visit Mozart’s hometown of Salzburg, Austria this winter. Have a royal experience at 17th-century Mirabell Palace & Gardens and Hellbrunn Castle, or Hohensalzburg’s 11th-century hilltop fortress. Visit Salzburg Old Town to see why it’s named a UNESCO World Heritage site and shop on the iconic Getreidegasse Street. See so much more than snow on the Alps during tours of the opulent St. Peter’s Abbey and Mozart’s residence. 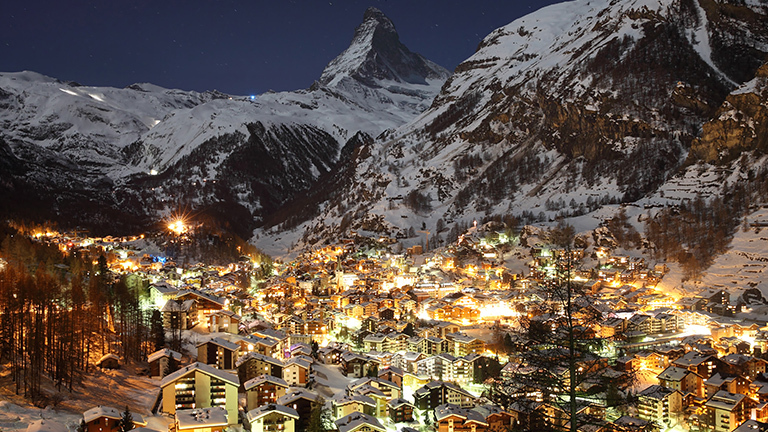 Visit the town that lies at the foot of the Matterhorn. This icy paradise guarantees snow 365 days a year, letting you celebrate winter anytime you’d like. Take flight on a gourmet helicopter sightseeing tour that takes you around the Matterhorn and even stops by the Rothorn restaurant – located at the summit of its namesake. If you’re looking for other mobile culinary experiences, take a ride on the Gondola Fondue. Enjoy the sun set over the mountain peaks while relaxing on a cable car gondola, fit with courses of homely cheese fondue, desserts and wine. Between the culinary adventures, glaciers and gorges, you will find so much to do in Zermatt. 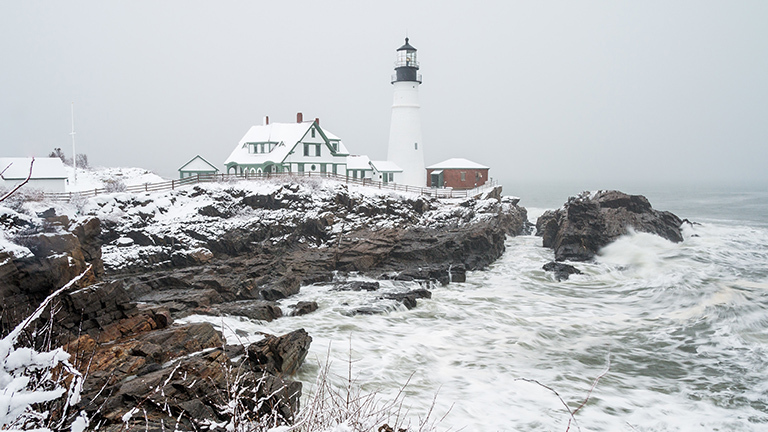 Explore greater Portland, Maine to experience a true northeastern winter. Enjoy a cup of hot cocoa or coffee at one of the many cafes throughout downtown Portland. Tour snowcapped lighthouses overlooking the Atlantic, with six located just 20 minutes from the city. If downhill or cross-country skiing aren’t your idea of fun, try snowmobiling! And, of course, you can’t leave without trying that Maine lobster. Don’t let winter slip away without making a trip to visit the snow! 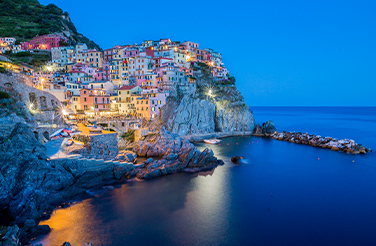 Best Western is proud to offer 4,200+ worldwide locations, letting you Go. Get. Rewarded. in your favorite winter destination.